Using a saucepan, add heavy cream, coconut milk, and sugar over medium-high heat. Stir constantly until it begins to boil. Once it begins to boil, pour the gelatin mixture and stir. 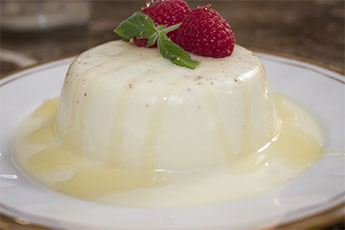 Remove from heat and pour contents into ramekins or a baking dish. Let it cool until it reaches room temperature. Cover with plastic and refrigerate overnight.